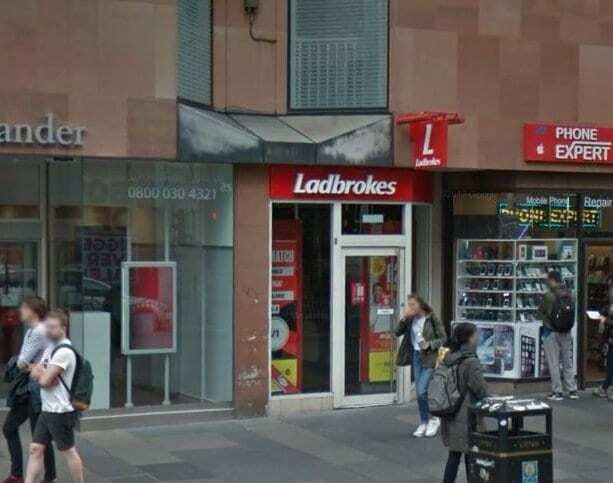 Below we have listed the regular opening times of Ladbrokes Argyle Street in Glasgow which is Monday to Friday 9AM-9:30PM, on Saturday 8:30AM-9:30PM, on Sunday 9AM-6PM. However, these can change upon the time of year as Grand National day the opening and closing is longer. 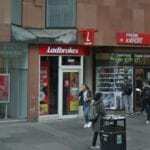 This particular branch is on a main high street close to lots of other shops and it’s pretty easy to spot with its recognisable red and white branding. 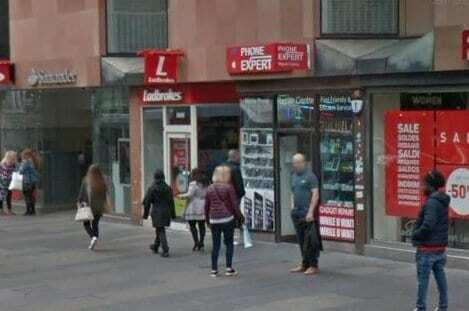 Ladbrokes is a licensed Betting Shop located at Part Of Santander, 84 Argyle Street in Glasgow G2 8BQ. Argyle Street is a major thoroughfare in the city centre of Glasgow, Scotland. With Buchanan Street and Sauchiehall Street, Argyle Street is one of the main shopping streets in the city centre. It is the longest street by distance in the city centre, running for 2.1 miles (3.4 km). It begins in the south-eastern corner of the city centre, at the Trongate, where it is pedestrianised as far as Queen Street. This section forms the major shopping section of the road, including the St. Enoch Centre and the Argyll Arcade (a Victorian arcade principally containing jewellers). It passes underneath Glasgow Central Station (the so-called Hielanman’s Umbrella) before becoming a major thoroughfare connecting the M8 motorway and the Clydeside Expressway (the A814 road) at Anderston. The route then joins St. Vincent Street where it heads out towards the West End of the city. It connects with Sauchiehall Street at Kelvingrove Art Gallery, and the road itself ends just beyond the Kelvin Hall on a bridge over the River Kelvin, where it becomes Dumbarton Road. 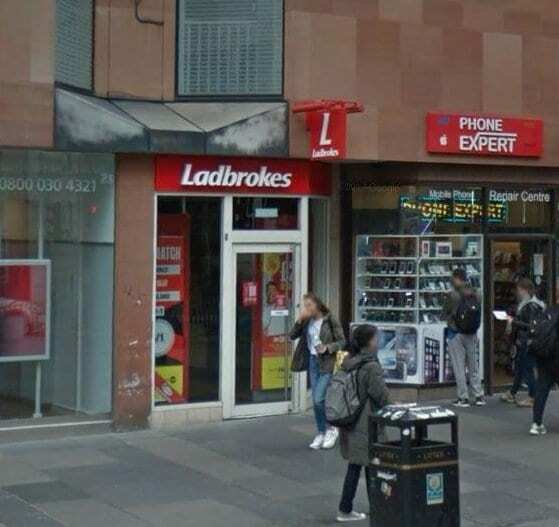 The Ladbrokes shop on this road is ideal if you want to bet on football or any other sports. You can easily find it and place a bet on a whole host of different events. There are a number of sports clubs in Glasgow including the Glasgow Storm. The Glasgow Storm are a basketball club based in the city of Glasgow, Scotland. The senior men’s team compete in Division 1 of the Scottish Men’s National League, the highest level in Scotland and the second highest in the United Kingdom, behind the professional British Basketball League. You can enjoy betting on basketball online using Ladbrokes and plenty other betting sites. Glasgow City FC is another sports club that can be found in Glasgow. Glasgow City Football Club is a women’s football team based in Glasgow that plays in SWPL 1, the top division of women’s football in Scotland and also the higher of two levels of the Scottish Women’s Premier League. You can bet on this football team using the Ladbrokes sportsbook. If you are thinking about placing bets on football and want to make sure your betting smart, have a look at our football betting tips, as these may be able to help you. The Glasgow city football club has competed in the UEFA Women’s Cup and UEFA Women’s Champions League. They also have a reserve team and youth teams. Glasgow City has won the most Premier League titles and the most Scottish Cups in Scotland since 2000. Another great sports club in Glasgow is Glasgow Warriors which are a Rugby Union team. Reshaped as a professional club in 1996, Glasgow Warriors were originally known as Glasgow Rugby before rebranding as Glasgow Caledonians in 1998 by a merger with the Caledonian Reds. They dropped the Caledonians to become Glasgow Rugby in 2001 again and finally rebranded as the Glasgow Warriors in 2005.